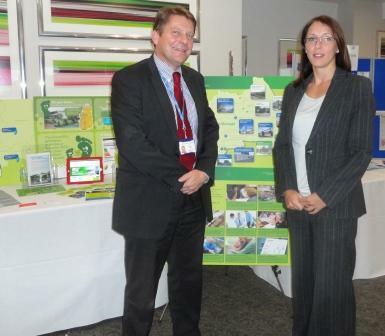 Members of the Community 1st Oldham team attended the NHS Oldham Annual General Meeting on Thursday, 29 September 2011 and presented all schemes delivered in partnership with the PCT since Community 1st Oldham’s establishment in 2004. The LIFT programme has successfully delivered a range of building improvements across Oldham. These vary from new build to refurbishments and minor capital works to improve existing facilities for our partners. More details of what we have achieved to date and what is planned for the future can be seen in the What’s happening in my area?” section of our new website. The newest health facility developed by Community 1st Oldham is Werneth Primary Care Centre which will open its doors this winter, providing health and wellbeing services to around 20,000 patients. The four-storey centre is on Featherstall Road South, next to the A62 (Manchester Road) junction. The ground floor will house GP practices from the Werneth area. The lower ground will house community services, including district nurses, health visitors, services for children with complex care needs (which will move from the Woodfield Centre), podiatry, and a leg ulcer clinic. There are admin and staff rooms and there will also be a Lloyds pharmacy on the same site. See more details. 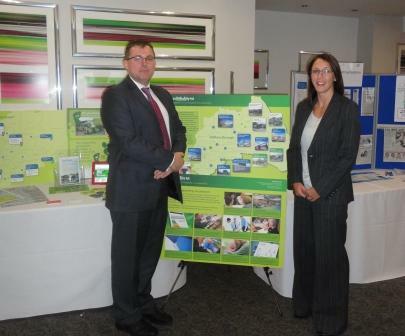 Community 1st Oldham team also presented the green energy solutions implemented in the care centre in order to reduce the building’s carbon footprint and other green initiatives across the borough. Community 1st Oldham is committed to minimising the impact on the environment and use green technologies and solutions in various community buildings in Oldham. 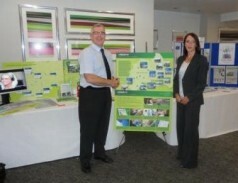 For more information see the Green Oldham area on our website.